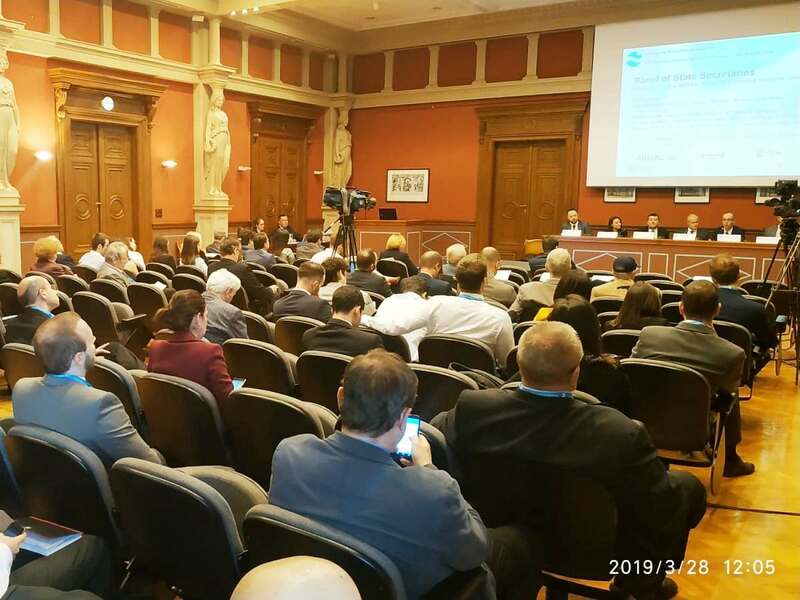 The Hungarian Economic Association (HEA) organised a V4+Romania Investor Seminar on 28 March, 2019 in Budapest – in the auditorium of the Hungarian Academy of Sciences. The video of the event is available at our website. Following the welcome speech of Gyula Pleschinger, President of the HEA, Member of the Monetary Council of the National Bank of Hungary, Professor Sergei Guriev, Chief Economist of the EBRD delivered his keynote presentation on the global-EM-CEE economic situation and challenges. The keynote was followed by the panel of state secretaries moderated by Mr. Dan Bucsa, Chief CEE Economist, UniCredit, London. The participants of the panel were the followings: Czech Republic: Mr. Jan Klesla (Advisor to Deputy Minister, Ministry of Finance); Hungary: Mr. Gabor Gion (State Secretary, Ministry of Finance); Poland: Mr. Leszek Skiba (Undersecretary of State, Ministry of Finance); Romania: Ms. Diana Popescu (General Deputy Director, Treasury and Public Debt, Ministry of Finance); Slovakia: Ms. Dana Meager (State Secretary, Ministry of Finance). After the lunch break, the panel of deputy governors of the central banks took place. The panel was moderated by Mr. Pasquale Diana, Chief CEE Economist Morgan Stanley, London. 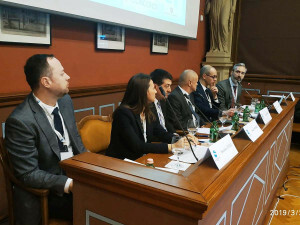 The participants were the followings: Czech Republic: Mr. Jakub Mateju (Advisor to the Board, Czech National Bank); Hungary: Mr. Marton Nagy (Deputy Governor, National Bank of Hungary); Poland: Ms. Anna Trzecinska (Deputy Governor, National Bank of Poland); Romania: Mr. Liviu Voinea (Deputy Governor, National Bank of Romania ); Slovakia: Mr. Ludovit Odor (Deputy Governor, National Bank of Slovakia).